The Great Litany – The Litany of Peace. A Short Introduction. An Orthodox deacon extending his orarion at the end of a petition of a litany. 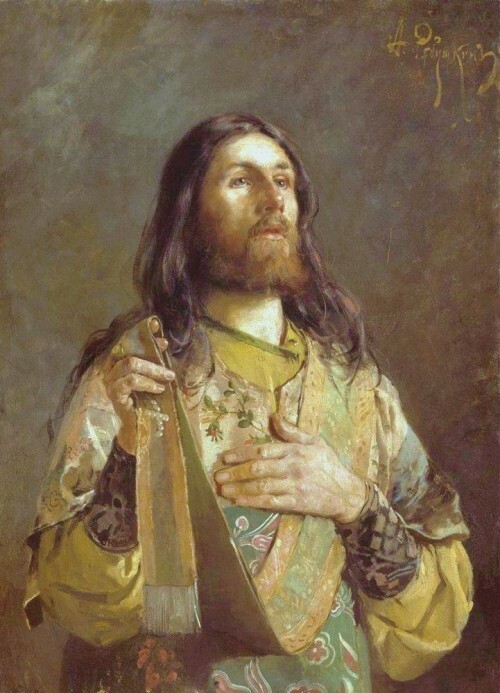 The Great Litany is said as the first litany of Divine Liturgy and Vespers, after the Six Psalms in Matins and at the beginning of the Betrothal and Baptismal services. In all these cases, the exclamation “For unto Thee is due all glory, honor, and worship…“ is said by the priest at the end of the litany. It is also used in the Great Blessing of the Waters, with a long prayer intoned at the end in lieu of an exclamation. Any Great Litany may have special petitions appropriate to the occasion inserted at the usual place. Any service for a special purpose (such at the Betrothal, Baptismal and Great Blessing of the Waters) has many special petitions. Services of the “Daily Cycle” (Vespers, Matins and Divine Liturgy) may also have special petitions for the sick, or travelers, or some other concern inserted in the Great Litany, but this is usually not done, and these petitions are instead inserted in the Fervent Ectenia said later in each of these services. The Great Litanies of Divine Liturgy and the Great Blessing of the Waters also have a “private prayer” said by the priest (usually) before the ending exclamation. The Great Litany is also known as the Litany of Peace, since it begins with three petitions concerning peace. This is theologically very significant, and we will discuss this at length later. Litanies consist of petitions intoned by the deacon or priest, with the people answering with a short sung prayer, such as “Lord have mercy”, “Grant this O Lord”, and others. Traditionally we stand and face East, and make the sign of the cross at each petition. This entry was posted on Wednesday, November 4th, 2009 at 12:00 am and is filed under Pastoral Journal, prayers of the church. You can follow any responses to this entry through the RSS 2.0 feed. You can leave a response, or trackback from your own site.